Andrew Hearne – Stomping on old ground. I mentioned a while ago that I was lucky enough to have the entire month of April off. Well, it was awesome. I did a lot of fishing. There is a whole bunch of stuff which will be appearing on here in the next while… including the report from a great trip we had down south, which Jack is going to kick off in the next few days. Watch this space! To keep you going until then, This is a report is from a few days ago. It puts things a bit out of synch… but never mind. Once we arrived back from our trip south I stayed at home for a few days. I needed to recover, and I also needed to learn how to sleep in a bed again after so long sleeping in a tent. Once I was sorted out I figured I may as well get back out there and make the most of the last days of the season, and my remaining time off work. Again I packed up for an overnighter, loaded the mountain bike onto the rack, and headed off into the distance towards the hills. The venue for this particular adventure was one of my old stomping grounds from a few years back. A few hours later I met Mike, and from there we drove in convoy to the end of the road. After that it was onto the bikes for an hour or so. It was just enough time for me to work up a pretty good sweat and made me realise how much I need to spend a bit more time on the bike. That night was pretty cold, and I struggled to sleep properly in my tent. The forecast was for overcast conditions, but the next morning the sky was cloud free. There was also a pretty crisp frost coating the ground thrown into the mix for good measure. The sun couldn’t hit the valley soon enough that morning. The temperature definitely wasn’t helping, my fingers were barely able to function in the cold, and my feet weren’t doing much better. I hooked a fish pretty early on, which threw the hook after only a few seconds. I hooked another one soon afterwards, which did the same. It wasn’t really the start I’d been hoping for. After my second fish got away Mike hooked one cruising the same run. This one didn’t get away, and we’d officially opened the account for the trip. That day turned out to be pretty tough. I hooked another two fish without landing either, and Mike had a couple which went wrong too. Frustration was the order of the day. That night we sat around the campfire and enjoyed the finest of three course bush meals. We had soup as a starter, followed by steak, potatoes and gravy, peas and corn for the main, and then a custard and fruit desert. We both agreed that if the weather closed in the next morning we would abort mission and head out. Neither of us were feeling very motivated at that point to fish in the rain. The second night was considerably warmer than the first, and I managed to get plenty of sleep. I woke up feeling pretty good, much better than on the first day. On top of all that the weather was good. It looked as though we would have a look at the river after all. We didn’t fish very far, but we saw plenty of fish and fared a lot better than the previous day. Because of the current from the side with good visibility I had to cross the first run of the day to fish to the first target, while Mike stayed on the other side to spot for me. To his credit he did a great job, and before I knew it I was solidly hooked up. Finally! I landed the fish, and at that moment I wasn’t all that far from being ecstatic. The memory of my failure from the previous day virtually disappeared… because at last I had actually caught a fish! A short distance upstream Mike fished at another one which ended up spooking and screaming up and down the run. As we started to move on we noticed another one sitting slightly higher up the run. Mike offered it to me. Hesitantly, I said yes to fishing to it. I mentioned it was probably spooked after what the other fish had just done, and as I unhooked my nymph the fish swung to the left to feed. On seeing this, Mike called me names, and my confidence grew. It took about three casts to get the drift right. The fish again moved out to the left, but this time it was for my nymph and not a natural. This one took to the air straight away and kept on jumping right to the bitter end. 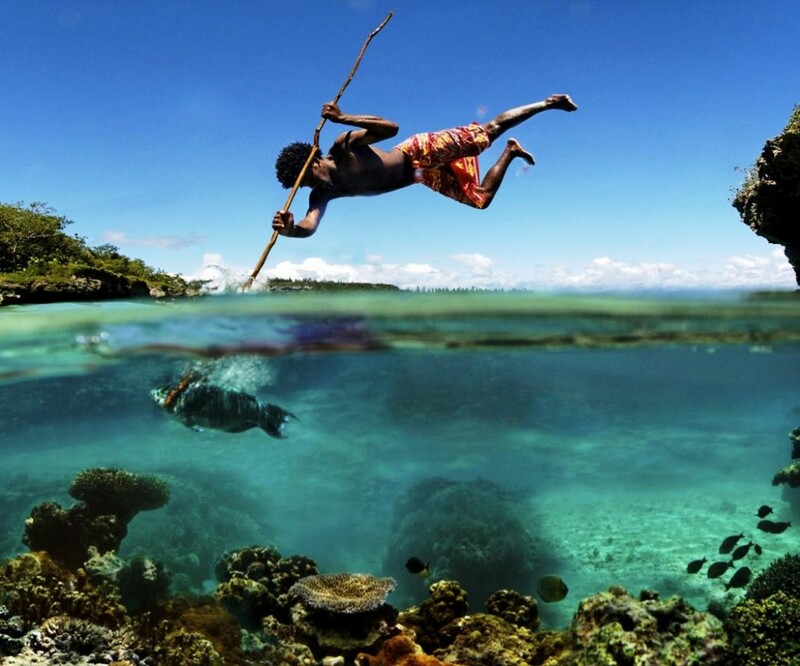 Each time it cleared the water we could both see it was a shovel nosed Jack. 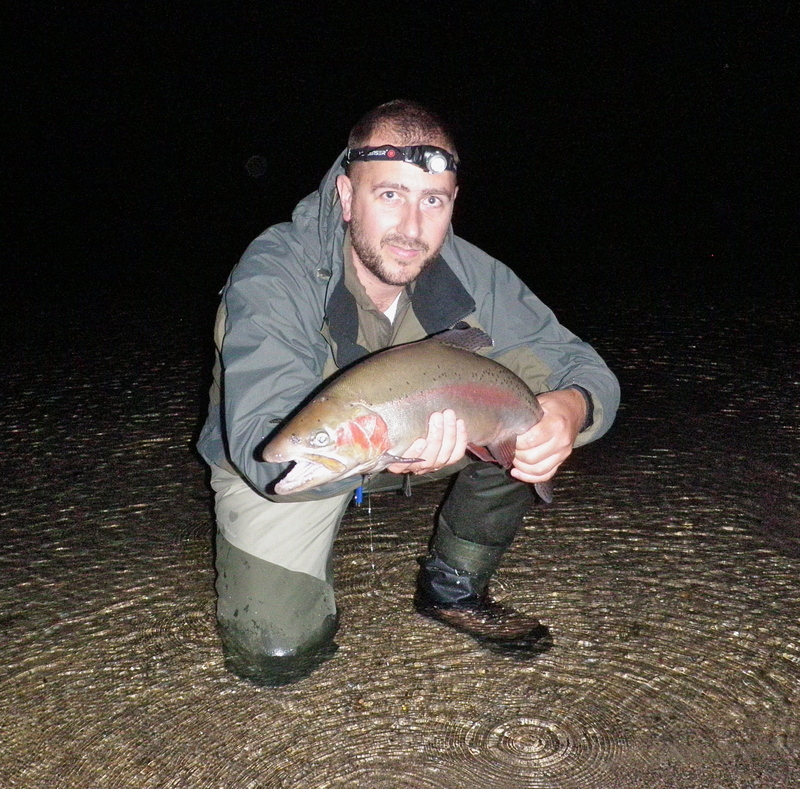 Initially I didn’t think it was all that big, but once I had it in the shallows I saw it was in great condition. This was a real bonus on top of the one from earlier. That wasn’t the end of the action for the day. Just as we walked slowly along an edge discussing the subject of fish feeding on mice, another one was spotted. Mike put the cast in the right place and was rewarded with a take. This was another pretty good fish. Not long after that we called it a day. It was time to pack up and get back on the bikes and then the long drive home. So that was one trip. Wait until you see what else we got up to this month! 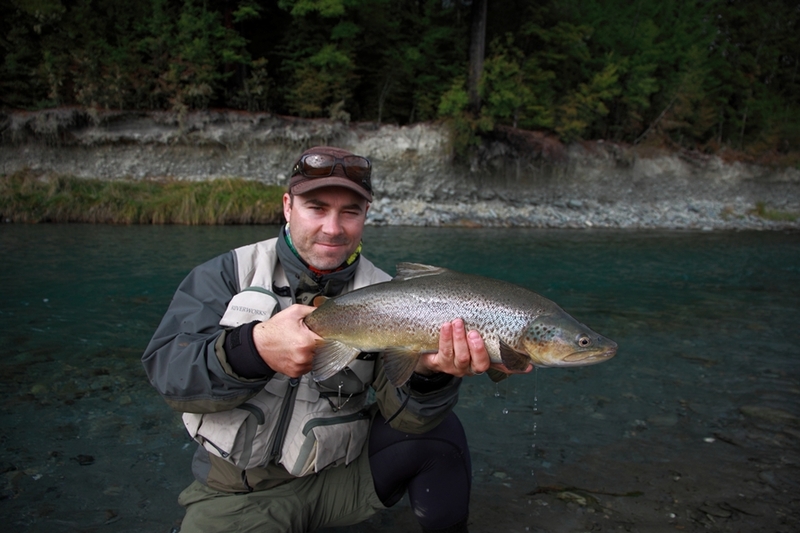 The Fish Of The Season Competition closes in just 10 days! Last chance to get your entries in and have a shot at winning the Riverworks voucher and bragging rights for 2011/12. A few more entries that are looking good. 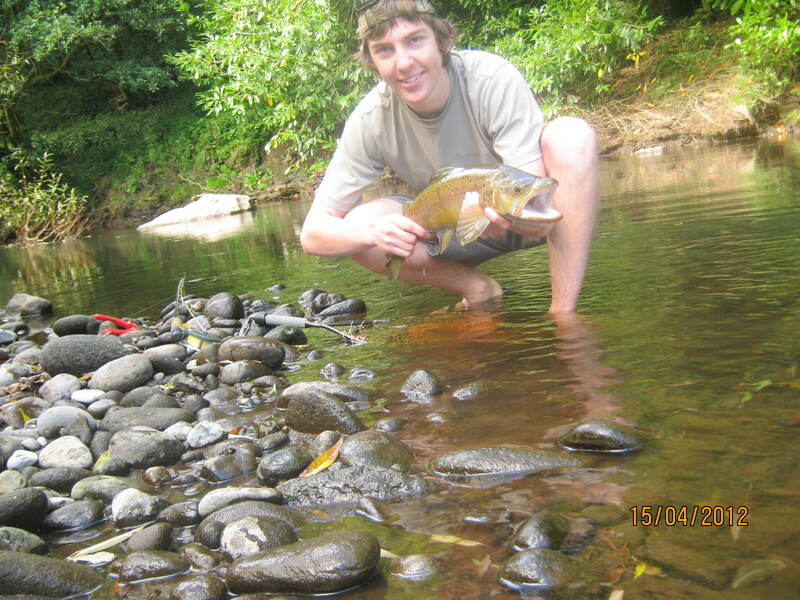 We want to see your best fish of the 2011/12 season! 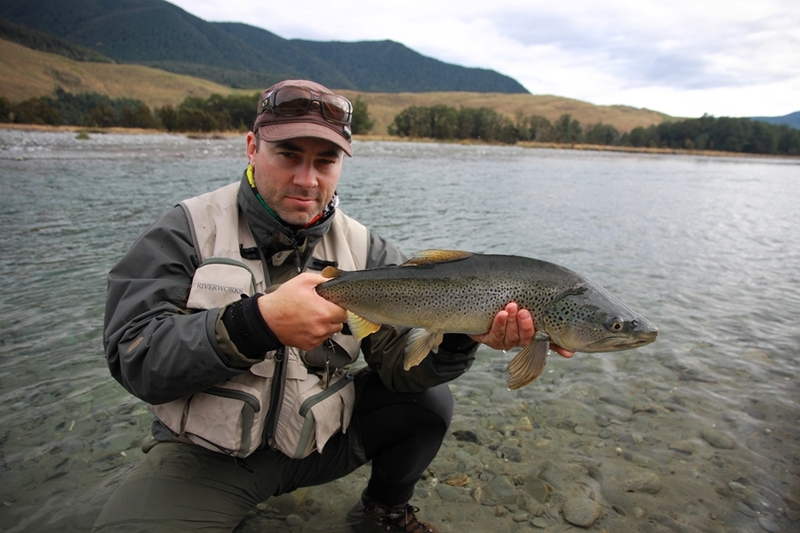 The Fish Of The Season competition will be open for entries until the 30th of March with the winner receiving a $50 Riverworks voucher. We will select our favorite five entries to post up at the end of the month and we will then let you guys choose the winner. 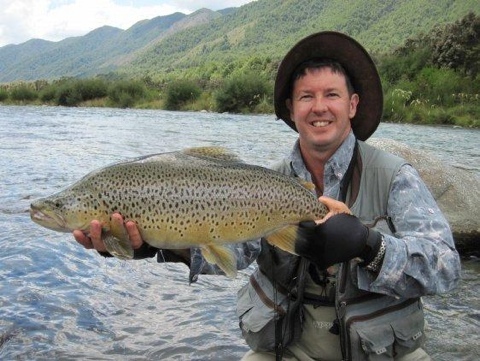 The fish we are looking for are not necessarily the biggest fish from this season, but other factors such as condition, colour, surroundings and difficulty will be taken in to consideration. To enter please send in a photo and no more than a few lines on how your fish was caught. The selected five finalists will be announced Saturday the 30th of April. 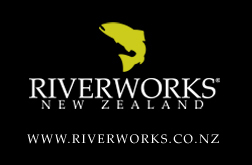 All entries will be considered and Riverworks New Zealand Terms and conditions apply. 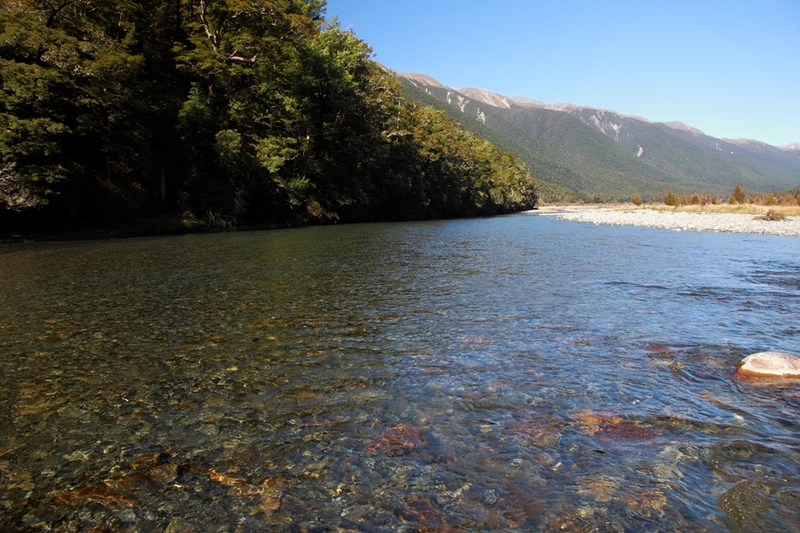 Entrants must have a New Zealand or Australian postal address and Riverworks New Zealand holds the right to make or overrule the final decision. 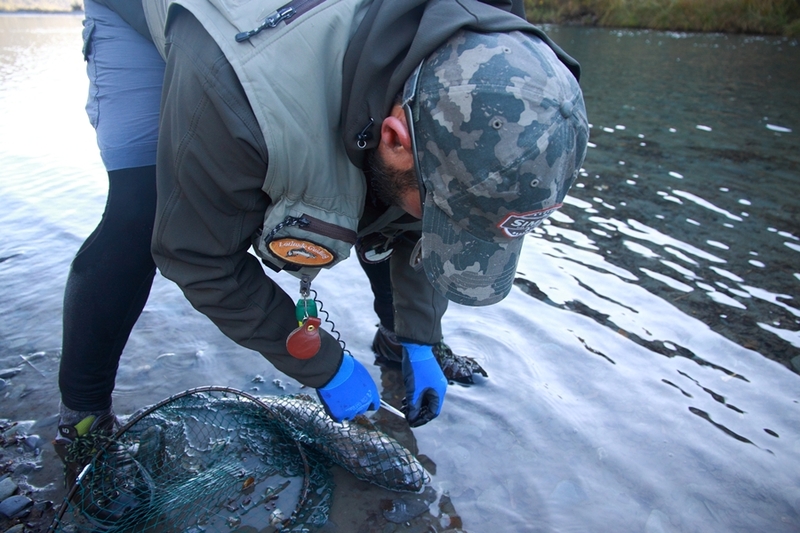 Why do you fly fish? We want to know what makes you tick! 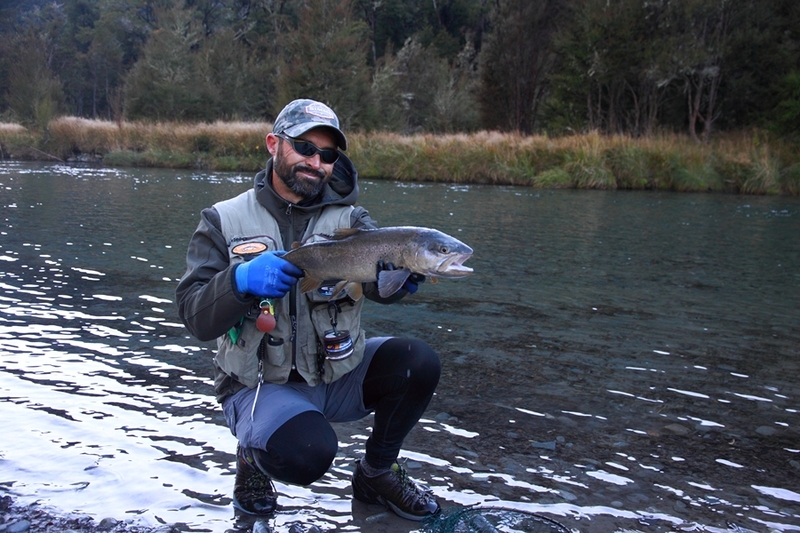 Tell us why you fly fish. Everyone who responds will go into the draw to win a Hunters Element Prime Winter Base Layer – This would be perfect for your winter fishing! Just be thankful if you’re having a bad day fishing you’re not Bill Dance. “Oh shoot, dang”! Thats right, the 2011/2012 fishing season is nearly over. 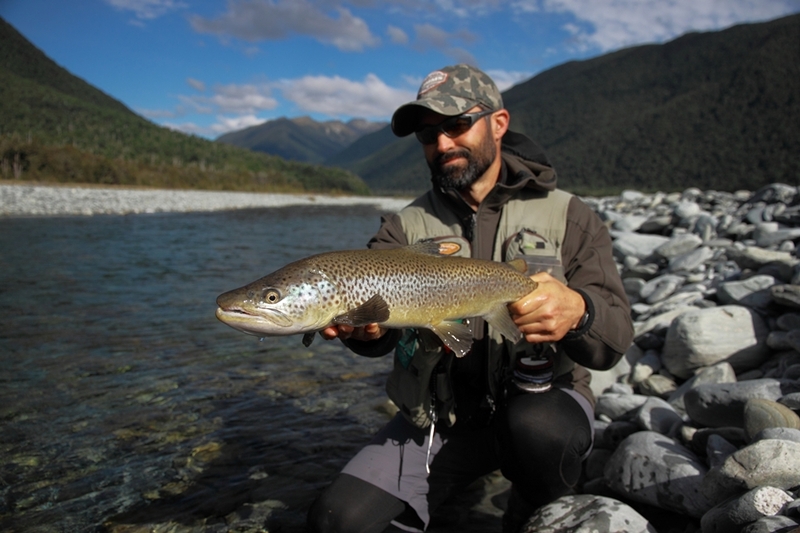 For most of us we either stop fishing and start tying flies for the next season, head to winter spawning rivers and lakes that remain open or battle it out in the lower reaches of our favourite rivers. I had realised I had been concentrating of salt water fly fishing this summer and hadn’t done enough trout fishing, so decided I needed to cram a bit of fishing in before the season closed. 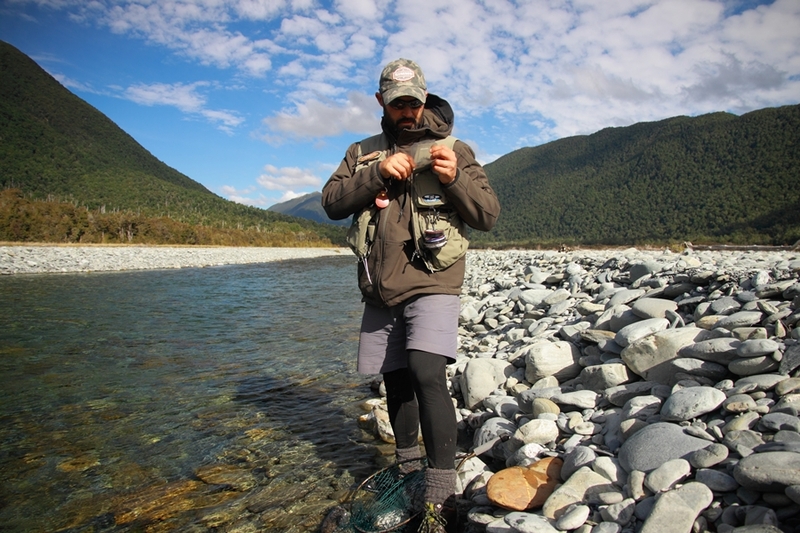 Last weekend had me down at the local (Hutt River), after hooking into a beaut jack of around 4.5lb I was very quickly in trouble, he had run into the rocks under me and I could feel my leader on the rocks. Determined not to loose this fish I ventured into the river to try and pull him out, it got deeper, and deeper, and a bad decision had me in water up to my neck doggy paddling across a short deep part, while holding the rod above my head, still firmly attached to the trout. I landed him, but was rather wet and dejected, managing to drown a camera in the process, unfortunately no pictures for this reason. 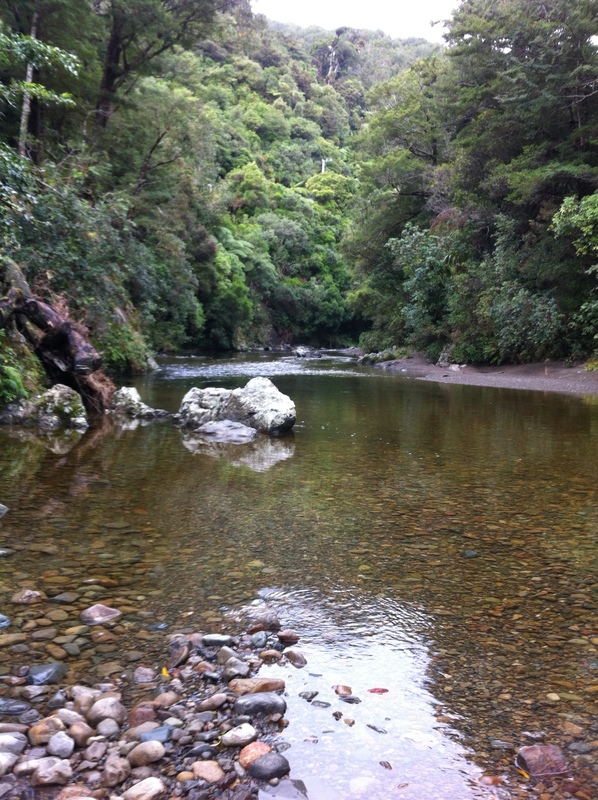 This weekend, I had some time to kill on Sat morn, so thought Id have a quick look around some of the water that is due to close around Wellington. It wasn’t long before I had spotted a fish feeding away, however he managed to disappear into the murky depths before I got a cast. A few pools further up I had another fish in my sights, swaying gently in the current and feeding well, I tied on a special fly that rarely fails me. A couple of casts to get the drift right and he swung over, the white flash of his mouth was the only indication I needed, I stuck hard before my indicator had a chance to move, fish on! After a rather slow but dogged fight I had a nice conditioned jack in the net. 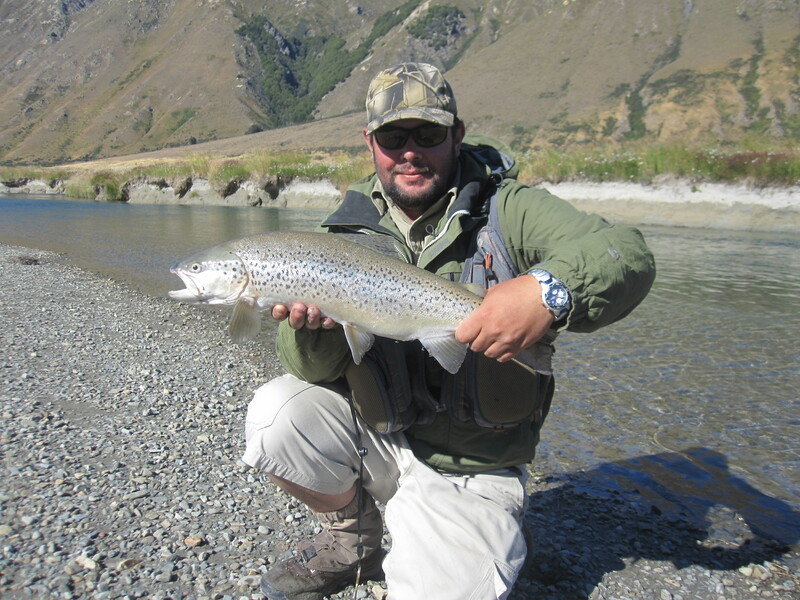 A few more pools and another fish was spotted, same rig cast and this time I had the cast perfect first time. The fish swung, the mouth opened, the indicator dipped and I struck. I was met with brief but solid resistance before the fly came screaming past my face. The fish obviously disappeared into the heavy water not to be seen again. Unfortunately that was it for the morning, another 1 fish day, but 1 fish is better than no fish, and going fishing is better than not going fishing. Only a couple of weeks left in the season, Ill be making the most of it. Well well, looks like the sun is still out and giving us some cracker days on the water. But just to reiterate Winter is not far from making itself known. With this in mind I decided to have a sample of what’s on offer over the next few months. Tina had some business to attend to in Rotorua so I did the grateful thing and drove us over there. Having an hour or so to kill I went for a look around town. That should read, I went to the fishing shops. We’d planned to have a lakeside picnic that evening, a cunning excuse to throw some flies about. Some quick info on my chosen spot wasn’t met with great reaction but since my mind was already there having a beer and some coldcuts we went anyway. Turns out the lake was dead flat and devoid of any visible sign. 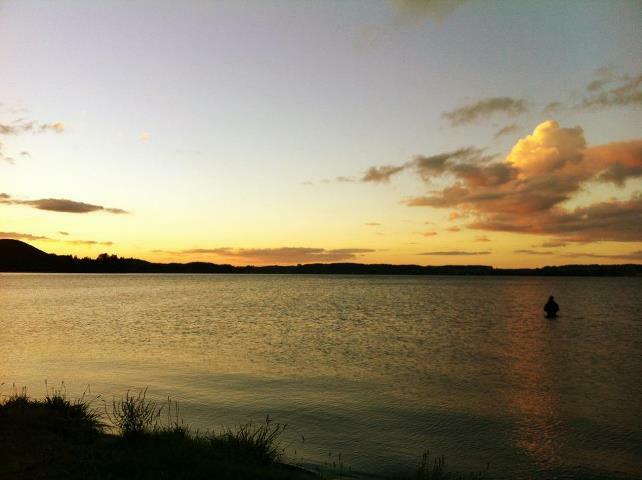 I waded around a bit, tried different flies, we enjoyed the sunset and I said “another 10 minutes” 3-6 times. Not long after sundown I heard the first hefty splash, shortly followed by a swirl. This was more like it. 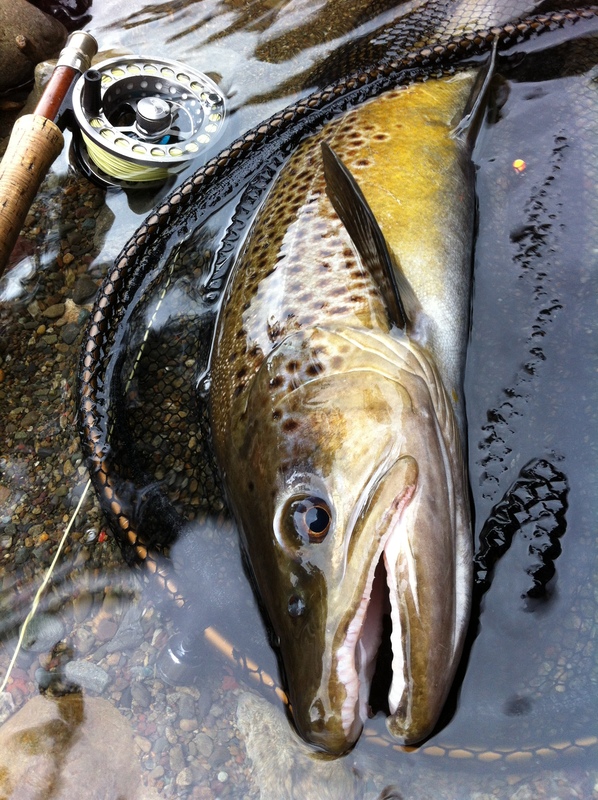 I tied on a Wooly bugger trailed by a lumo fly and reassessed my game. A few bumps from weed or the bottom had the trigger finger twitchy so when the gentle take finally came I strip struck into something solid. My first targeted “Winter” spawner was bolting out the door as I sorted things out. Then after a good run into the backing I had to run backward, onto the road all the while stripping line like crazy. Just as thoughts turned to the hook pulling the weight came back on. This fish was mad, it didn’t know where it was going! Eventually I flicked the lights on and helped it to the beach. Not too shabby and in bloody good condition, this one's going to the smoker. Shortly after we were driving back home, content with our day out. With that result I’m looking forward to freezing my arse off in pursuit of more fine Winter fishing. Although I’ll probably rethink that when the frost sets in and I can’t move my fingers.